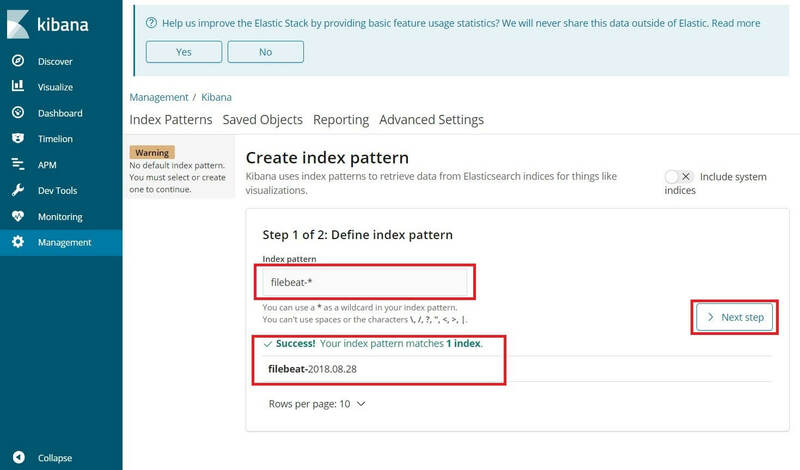 ELK Stack is a full-featured data analytics platform, consists of three open source tools Elasticsearch, Logstash, and Kibana. This stack helps you to store and manage logs centrally and gives an ability to analyze issues by correlating the events on particular time. 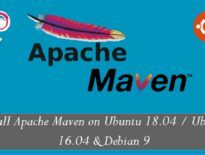 This post guides you to install ELK stack on Ubuntu 18.04 / Ubuntu 16.04. Logstash – Processing (Collect, enrich and send it to Elasticsearch) of incoming logs sent by beats (forwarder). 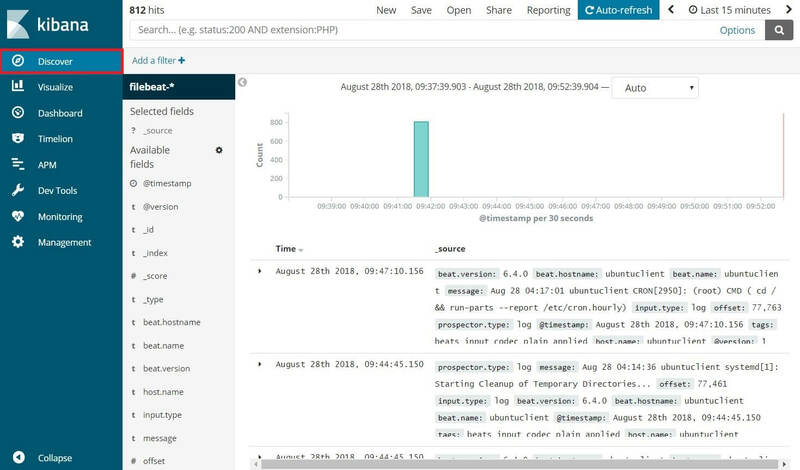 Kibana – Provides visualization of events and logs. Beats – Installed on client machines and it sends logs to Logstash or Elasticsearch through beats protocol. Elasticsearch requires either OpenJDK or Oracle JDK available on your machine. Here, for this demo, I am using OpenJDK. Install Java using the below command along with wget and HTTPS support package for APT. If you want to use Oracle Java JDK, then read. 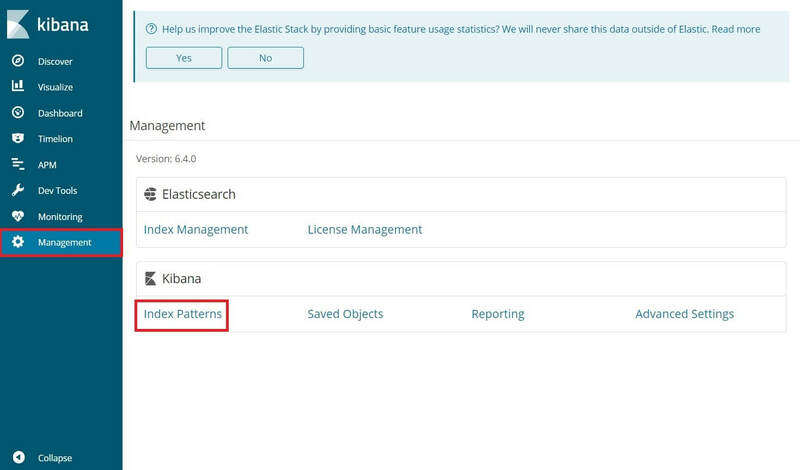 ELK stack packages can be easily obtained from Elastic CO by setting up its official repository. We will now install Elasticsearch server, an open-source search engine based on Lucene. 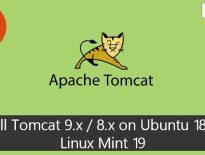 It provides real-time distributed, multitenant-capable full-text search engine with a web interface (HTTP) and schema-free JSON documents. 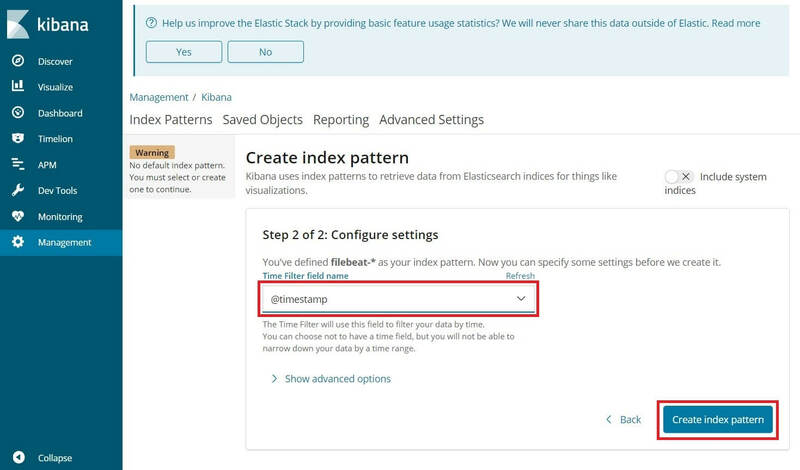 Install Elasticsearch using the following command, v6.4 at the time of writing this article. Wait for few minutes and run the below command to see the status of Elasticsearch REST interface. The above output confirms that Elasticsearch is up and running fine. Logstash is an open-source data-collection and log-parsing engine. It collects logs, parse and store them on Elasticsearch for searching. Over 160+ plugins are available for Logstash which provides the capability of processing a different type of events with no extra work. It is optional to set the Forwarder (Filebeat) which we install on client machines to use SSL certificate for secure transmission of logs. Create the SSL certificate either with the hostname or IP SAN. Go to the OpenSSL directory. Now, create the SSL certificate using OpenSSL. Replace server.itzgeek.local with the hostname of your Logstash server. This logstash-forwarder.crt should be copied to all client servers those who send logs to logstash server. Follow the below steps to create an SSL certificate for IP SAN. As a prerequisite, add the IP address of Logstash server to SubjectAltName in the OpenSSL configuration file. Look for [ v3_ca ] section and update subjectAltName with the IP Address of your Logstash server. Now, create the SSL certificate by running following command. Convert the current key to PKCS8 format for Logstash to work properly. Change the file permission to world readable. Logstash configuration consists of three sections, namely input, filter, and the output. You can put all sections in a single file or separate file for each section, end with .conf. Here, we will use a single file for placing input, filter and output sections. Create a configuration file under /etc/logstash/conf.d/ directory. In the input section, we will configure Logstash to listen on port 5044 for incoming logs, from beats (Forwarder) that sit on client machines. Also, add the SSL certificate details in the input section for secure communication. In the filter section. We will use Grok to parse logs ahead of sending it to Elasticsearch, for storing. The following grok filter will look for logs labeled syslog and tries to parse them to make a structured index. For more GROK filter patterns, take a look at here. In the output section, we will define where logs to get stored, obviously Elasticsearch in case of ELK stack. Now start and enable the Logstash service. 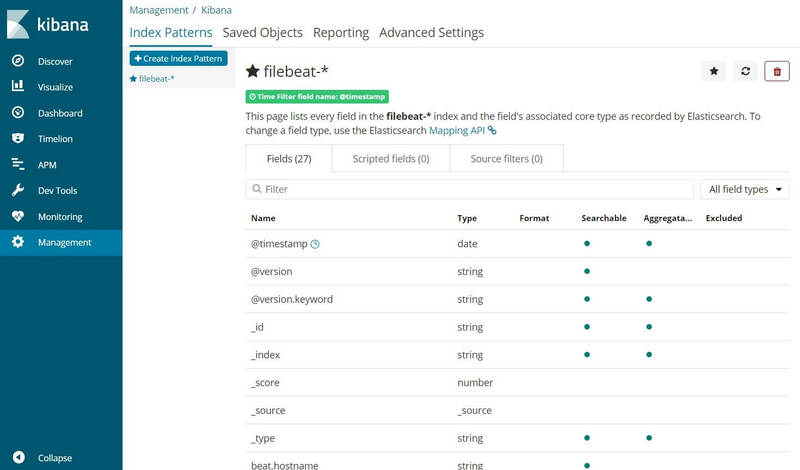 Kibana provides visualization of data stored on Elasticsearch. Install Kibana using the following command. By default, Kibana listens on localhost which means you can not access Kibana web interface from external machines. To enale the access, edit /etc/kibana/kibana.yml file. Make changes to the below line with your server IP address. Also, some cases Elasticsearch and Kibana run on different machines, so update the below line with IP address of Elasticsearch server. Start and enable Kibana on machine startup. There are four beat clients available. Packetbeat – Analyze network packet data. Filebeat – Real-time insight into log data. Topbeat – Get insights from infrastructure data. Metricbeat – Ship metrics to Elasticsearch. Ensure that client machines can resolve the hostname of the Logstash server. If your environment doesn’t have a DNS server, then you would need to add a host entry for Logstash server on the client machine. Make an entry something like below. Filebeat is a software agent that runs on the remote client machine, and it sends logs to Logstash server for parsing or Elasticsearch for storing depends on the configuration. Install HTTPS support for apt. Filebeat is available on the Elastic repository, so you need to setup it for Filebeat installation. Install Filebeat using the following command. First, copy the logstash-forwarder.crt file on to the remote client machine. Skip this step, in case you are not using SSL in Logstash for secure communication. Edit the filebeat configuration file /etc/filebeat/filebeat.yml to send logs to Logstash server. Below configuration is to send system logs (/var/log/syslog) to Logstash server. For this demo, I have commented out /var/log/*.log to avoid sending all logs to Logstash server. # you can use different inputs for various configurations. # Below are the input specific configurations. # Change to true to enable this input configuration. # Paths that should be crawled and fetched. Glob based paths. In the Outputs section, comment out the section output.elasticsearch: as we are not going to store logs on to Elasticsearch. Now, find the line output.logstash: and modify entries to send system logs to Logstash and also mention the location of the SSL certificate. Replace server.itzgeek.local with IP address of Logstash server in case if you are using IP SAN. Filebeat’s log is typically found in its log file. Access the Kibana web interface by going to the following URL. 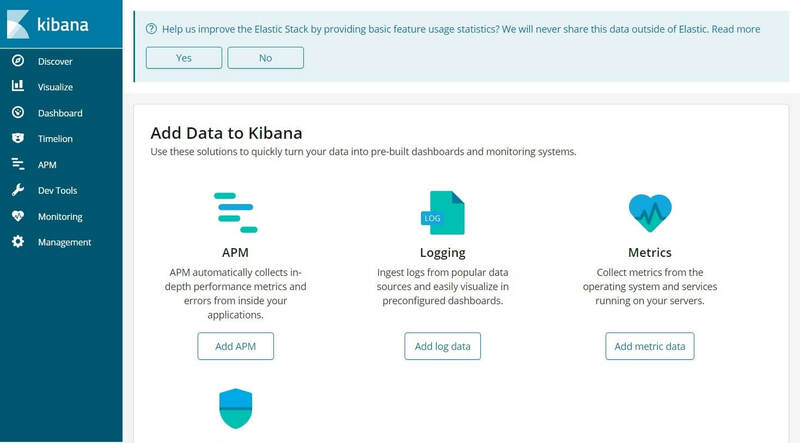 You would get the Kibana’s home page. On your first access, you need to map the filebeat index. Go to Management >> Index Patterns. Type the following in the Index pattern box. You should see filebeat index something like above. Click Next step. Select @timestamp and then click on Create index pattern. Check out the index patterns and its mapping. Click Discover in the left navigation to view the incoming logs from client machines.